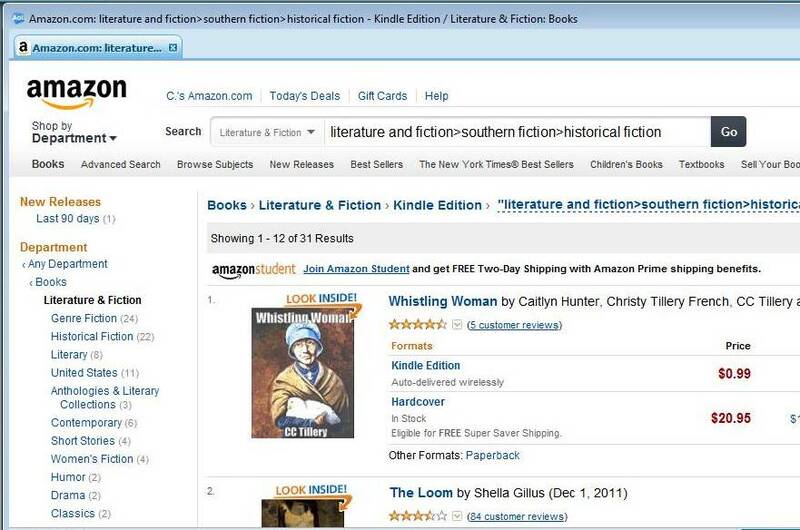 It’s a little hard to see there, but for Kindle in literature and fiction, southern fiction, historical fiction Whistling Woman has been at the top of the list since yesterday–and maybe even before that. We just happened to find it yesterday and boy, howdy, did we do some crowing over the phone! We knew the sales had been steadily increasing since the second week of September but we had no idea we’d hit number one! Yippee!